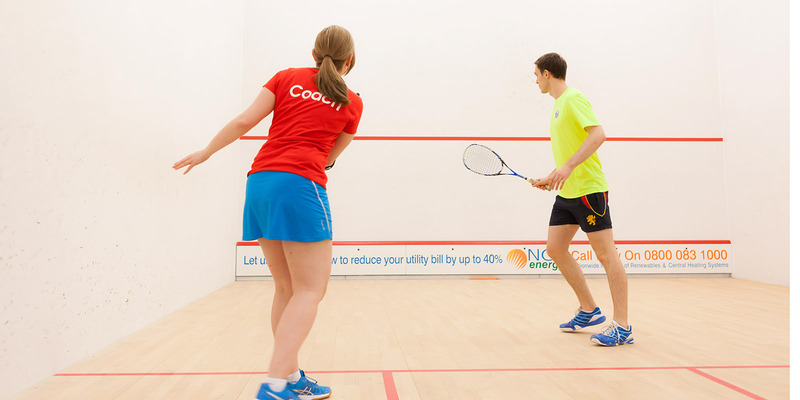 England Squash - Course - England Squash Talent Development (Lvl3) Prerequisite Workshop. England Squash Talent Development (Lvl3) Prerequisite Workshop. Bridging the space between the England Squash Club Coaching Award (Lvl2) and the England Squash Talent Development Award (Lvl3). A one day workshop with England Squash High Performance Coaches Paul Carter and Tania Bailey consisting of discussion, video analysis on court group activities and assessment. Candidates will be able to take part on either the workshop being held at the National Centre on 3rd September and Berkhamsted Squash Club on 4th September 2018. The workshop will cover the description and explanation of the Squash Pillars as well as examples of session themes used at Aspire squad level and above. Video analysis and on court group session based on building conditioned games around the Pillars. As well as analysing the backhand and forehand drive based around the non-negotiable coaching points used throughout the England pathway. The course will also include an explanation on what the England Squash Talent Development (Lvl3) course entails and what successful coaching candidates will be expected to deliver on completion of the course. Successful candidates will be invited to apply for the upcoming England Squash Talent Development (Lvl3) Award taking place at the National Squash Centre in 2018/19. Description & explanation of the Squash Pillars as well as examples of session themes used at Aspire squad level and above. An explanation will be given on what the level 3 course entails and what the coaches are expected to deliver on completion of the course. The cost of prerequisite day attendance is £50. Workshops are taking place at the National Squash Centre and Beaconsfield Squash Club. The cost of the full level 3 course is £1,100. The Level 3 award is hosted at the National Squash Centre in Manchester. If you wish to pay the course fee by instalments or have funding assistance in place please contact Kevin Stewart by email prior to application at kevin.stewart@englandsquash.com. need to hold an up to date DBS Enhanced Disclosure (approx. £18) safeguarding training (approx. £20) and first aid certificate.